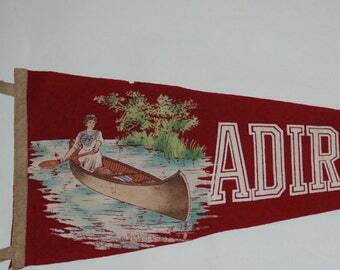 1950s era Souvenir Felt Pennant Rochester NY with Native American Graphic — Free US Shipping! This is a 1950s era souvenir pennant of Rochester NY with a large, bold, four color silk screened graphic of a Native American in a feathered bonnet. Condition is good, but with minor fading and with a hole and tear near the point. 1940s-’50s Era Souvenir Felt Pennant Washington National Airport -- Free USA Shipping! 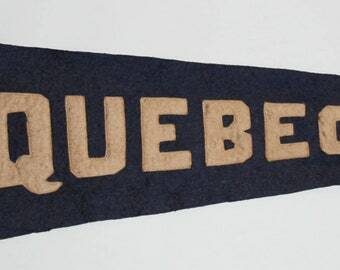 1950s era Souvenir Felt Pennant Cherokee Indian Reservation, North Carolina — Free USA Shipping! 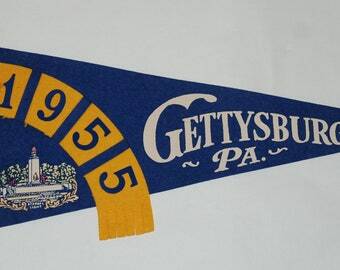 Genuine Vintage 1950s Souvenir Felt Pennant Plymouth, Mass — Free USA Shipping!